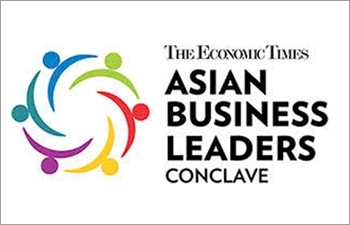 The third edition of the Economic Times Asian Business Leaders Conclave, which has established itself as the most important economic platform for deliberations and exchange of views on the important aspects of Asian intra-regional issues and dynamics of the Association of Southeast Asian Nations (ASEAN), digitization and its impact on Asian business, between leading business personalities, government leaders and policy makers, is scheduled towards the end of November 2018. This year’s edition is being hosted in Hong Kong the tech hub of Asia. For Kazakhstan the event offers a platform to showcase its potential for business and investments through round-table discussions and networking sessions. Taking into account that the Asian economy has accelerated as a driving force in the world economy, the ABLC aims to address the strengths and strategies of Asian regions and the challenges they face in the process of globalization. In particular, Kazakhstan plays a pivotal role in Asia’s endeavours towards sustainability for its social, environmental and economic ecosystem. Moreover, the country has been a financial hub for the longest time not only for Asia but the entire Asia Pacific region, as well as has a diverse range of industries and businesses. The event will act as a convergence of thought leaders, governments and business leaders to further the cause of greater economic integration between emerging and leading countries in the region and facilitate a platform to exchange views as well as deliberate on the developments in Asian countries. The previous editions of the Asian Business Leaders Conclave in 2016 and 2017, witnessed the participation of more than 400 delegates from over 20 countries. The 2018 edition aims to bring together on a single platform Government authorities, CEOs, academicians, thought leaders, heads of state, policy makers and technocrats, international organizations from across Asia and the Middle East as well as eminent experts including bankers, financial institutions, corporate leaders and entrepreneurs to share their perspectives on Asia.